If you have travel plans in the near future, think of using Google Search to find things to do, eat or see nearby your hotel without the fuss of looking up where you are staying. At least that’s what Google is preaching over at Google+ today. 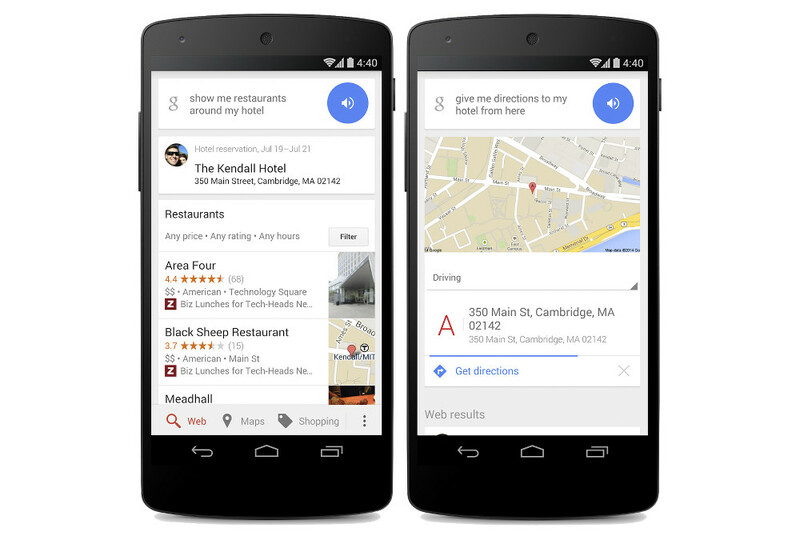 Thanks to Google and Gmail knowing your every move – like your hotel reservation information through confirmation emails – a simple search of things like “Show me restaurants around my hotel” or “Give me directions to my hotel from here” will help take the stress out of trip decisions and navigation. Google can take your hotel reservation, know your location, and then make recommendations. As someone who travels often for work, I cannot tell you how important Google has become in terms of being a travel companion. From having my hotel and flight information ready without having to ask for it, to giving me directions to important meetings once I land, the combination of Google Now/Search/Gmail is something I do not think I could live without at this point.